Suspension bridge at St. Anthony Falls. 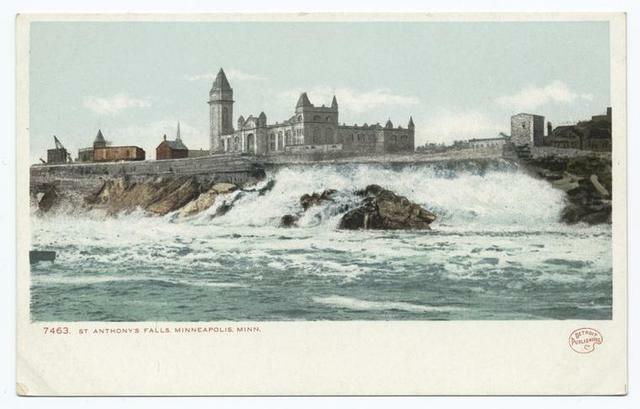 St. Anthony Falls, Minneapolis, Minn. Bridal veil, near St. Anthony Falls.